Found 32 file extension associations related to Neverwinter Nights and 27 file formats developed specifically for use with Neverwinter Nights. Neverwinter Nights is a third-person role-playing video game developed by BioWare and published by Infogrames in 2002. The game is set in the Forgotten Realms campaign setting and is based on third edition Dungeons & Dragons rules. The story puts player at the center of an epic tale of faith, war, and betrayal. Neverwinter Nights allows you to create your own worlds. This revolutionary game will come with all the tools needed to construct your own unique lands of adventure. The Neverwinter Nights Aurora Toolset allows even novice users to construct everything from a quiet, misty forest or a dripping cavern of foul evil, to a king’s court. All the monsters, items, set pieces and settings are there for world builders to use. But do not stop there; construct traps, encounters, custom monsters and magic items to make your adventure unique.But the Neverwinter experience is not just for one person- adventure with all your friends. 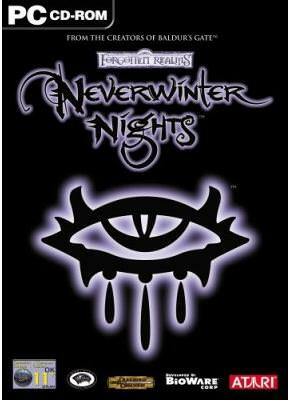 Neverwinter Nights can be played online with up to 64 friends, all sharing in the adventure. You can organize and run your own adventures through the role of the Dungeon Master and control all the monsters, creatures and characters your friends meet as they journey on their quest. A powerful piece of software that is included with Neverwinter Nights, the DM Client, allows nearly unlimited control for running your own adventures for your friends. If you need more information please contact the developers of Neverwinter Nights (BioWare), or check out their product website.